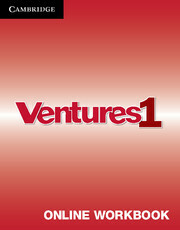 Ventures 2nd Edition is a six-level, standards-based ESL series for adult-education ESL. 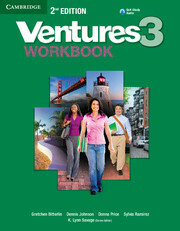 The Ventures 2nd Edition Level 3 Workbook provides reinforcement exercises for each lesson in the Student's Book, an answer key for self-study, grammar charts, and examples of a variety of forms and documents. 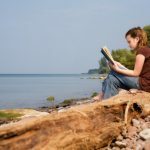 It also includes a self-study CD for improving listening comprehension.